The Drag Race Course with Tricycles, COMES WITH RACE COURSE AND TRICYCLES. 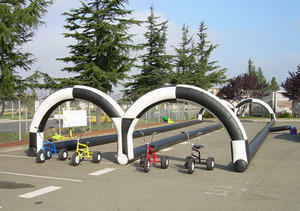 This Tricycle Race Game is great for a company event or any competitive event. 4 people race up and back to win.